Today, Croatian staple and much-loved festival Hideout announce the return of their iconic boat parties that set sail on the idyllic Adriatic coastline, inviting Maribou State, Mall Grab, Richy Ahmed, Mistajam and more to play to an intimate sun-soaked crowd. Fresh from their world tour is Maribou State, will host their own boat on Tuesday, with long term friend garage tinged house DJ George Fitzgerald alongside Irish newcomer Hammer. Radio 1’s very own Mistajam will set sail at Hideout this year, expect to hear new school anthems alongside RnB classics. Elsewhere, chart topping Jax Jones will join the crew alongside Dom Dolla, catch all this for just £30. Later in the evening as the shores of the Adriatic become calmer some of the North’s finest selectors switch things up with Franky WAH laying down tracks fresh from his beach party debut. Meanwhile, Manchester-based trio Mason Collective known for their wild party sets will be joined by no other than Radio 1’s Danny Howard. Kicking it off on Wednesday is Four Thirty Two label boss and Hot Creations affiliate Richy Ahmed who’ll host his very own boat 432 for a killer 3 hour set. Elsewhere staple Rinse FM show and promoter Crucast will set sail for a 3 hour marathon spanning the freshest sounds bassline, electro house, DnB and garage with Darkzy, Skepsis, TS7, Bru -C, Kanine and more. 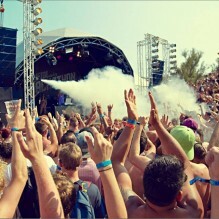 With something for everyone, Hideout are even offering ravers a chance to catch the sunset later into the evening with views over the Adriatic across two boats – Solotoko and Higher who’ll invite Elle Brown, Sonny Fedora, Mayson Maynard and no other than Solardo for just £30 – do not sleep on tickets. That’s not all though, Thursday will see four boats head from the beach. First up is a female fronted affair with Hannah Wants and Sam Divine showcasing the best cuts in tech house. Elsewhere Ben Stirling and dance chart-topping heroes Camelphat link up for a boat party to remember. Warehouse Music label boss Mella Dee become captain on Thursday afternoon and will invite Irish house DJ Kettama alongside Boots and Kats along to join him. Together they will showcase some of the most forward thinking sounds in the electronic music spectrum. On heavier tip Holy Goof, will invite DJ pal Chris Lorenzo to join him in a bass driven b2b, with Macky Gee in tow. Hideout are pulling out all the stops to make this a year to remember with Friday’s boats ending what will be a perfect week in Croatia. First up is South London’s answer to tech house, Michael Bibi who’ll set sail with Denniz Cruz for an ultimate b2b set. 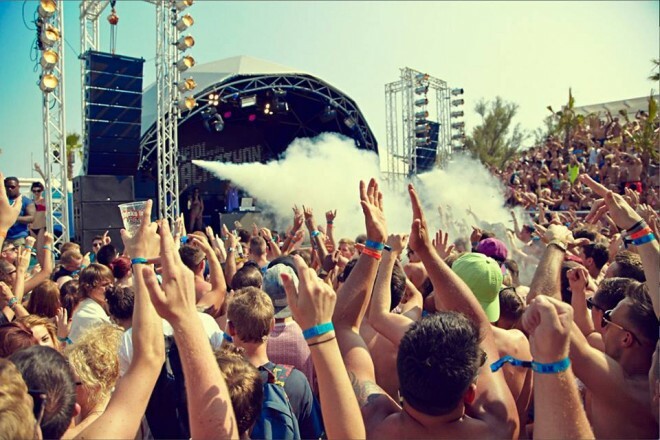 Hot Creations’ very own Darius Syrossian will join the pair and close the boat party set into the afternoon. That’s not all though Cold Tonic label boss and Running Back affiliate Krystal Klear will be joined by lo-fi and electro DJ Mall Grab who will provide disco, techno and house anthems from their well-stocked record bags. Flight packages are also available to make the trip even easier with options flying from London, Manchester, Birmingham, Bristol and Dublin to Zadar or Split at very competitive prices. More info HERE.